Files in the Public folder display a Copy public link option when selected. 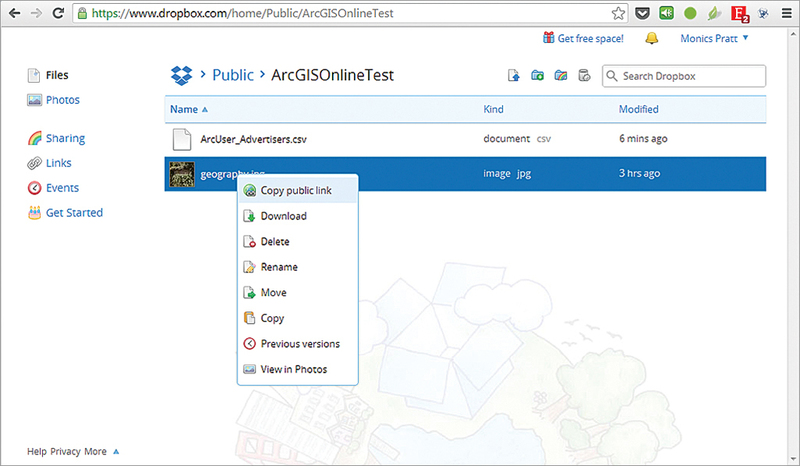 If you're a Dropbox user, there are a number of ways you can use Dropbox files with your ArcGIS Online web maps. Here are some tips on how you do this. Dropbox share links provide access to photos and files in your account. When you click a file in Dropbox, you will see the Share link at the top. When a share link is opened, files are viewed in a Dropbox display window. They can't be used directly for adding locations via spreadsheets or for adding photos to pop-ups, but this link can be used to reference files for downloading or opening them for viewing within Dropbox. 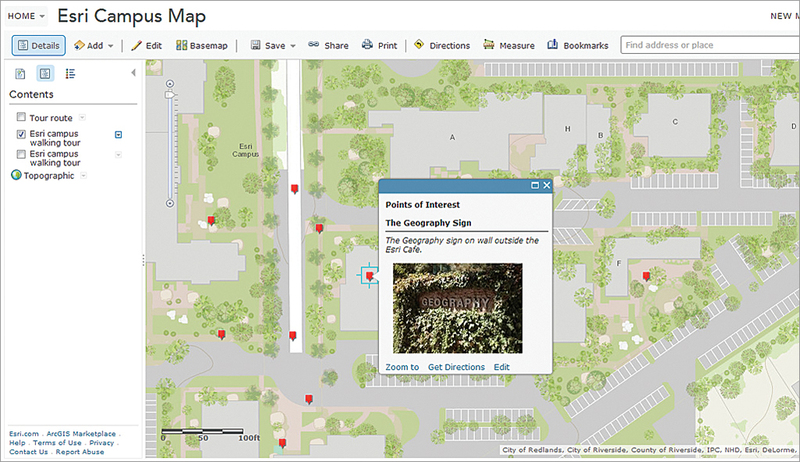 This approach also enables users of your map to use the Dropbox tools for sharing or downloading your files. 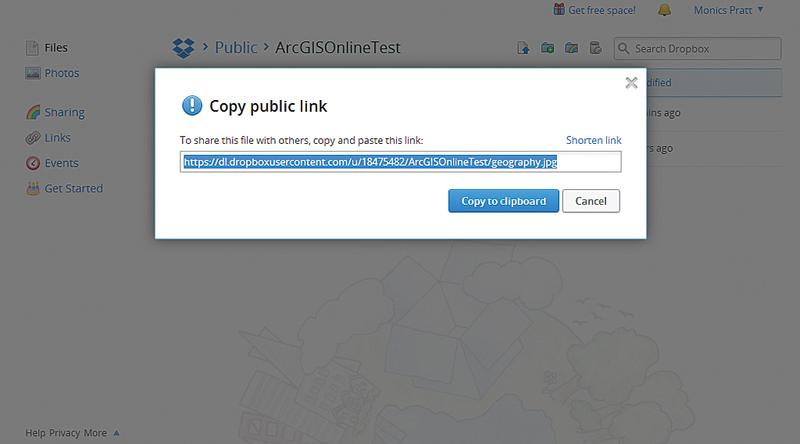 Copy the public link to your clipboard so you can use it to add content to ArcGIS Online maps. In the past, new Dropbox accounts automatically included a Public folder. 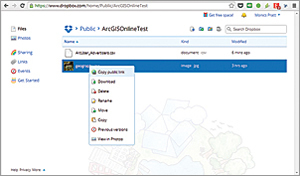 With a Public folder, you could get a direct public permalink to your files. This enabled you to directly add photos or spreadsheets stored in Dropbox to your ArcGIS Online web maps. While a Public folder is no longer automatically created with a new account, you can add one by following the instructions found in the What is the Public folder for? help topic at the Dropbox Help Center. When selected, files in the Public folder display a Copy public link option. 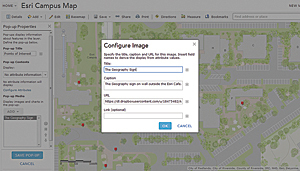 This link points directly to the file stored in the Dropbox cloud, so it can also be used for adding locations from spreadsheets to your maps as well as photos to your pop-ups. You can use Dropbox public links to add locations from CSV files directly to your map by clicking Add, then Add Layer from Web. 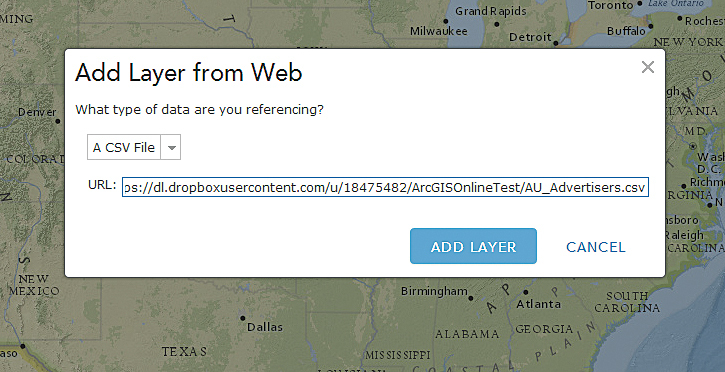 Then choose a CSV File from the drop-down list, paste the Dropbox public link in the dialog box, then click ADD LAYER. 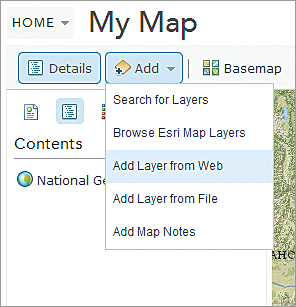 See the ArcGIS.com help for more information on adding layers from the web, using CVS files, configuring pop-up windows, and showing images and popups. 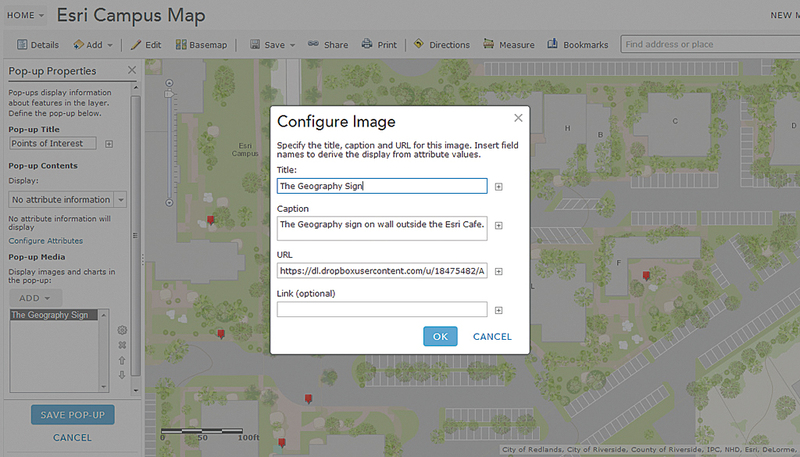 Use an image you have in Dropbox in a map pop-up by copying the public link as the URL when configuring the image. The linked image residing in Dropbox is displayed in a pop-up. Add the CSV file using the Dropbox public link.